In a very special night at Palau Blaugrana, FC Barcelona Regal stayed undefeated in Group D by downing Lietuvos Rytas Vilnius 90-66 on Thursday. 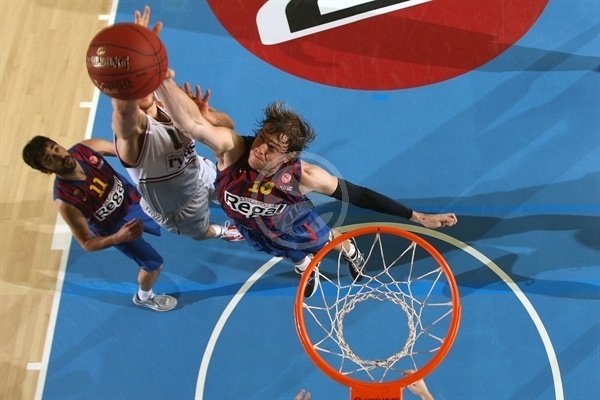 Barcelona remains the only undefeated team in the competition at 7-0, while L. Rytas dropped to 1-6. Juan Carlos Navarro paced the winners with 24 points. Navarro was honored before and during the game, commemorating 15 years since his first team debut. 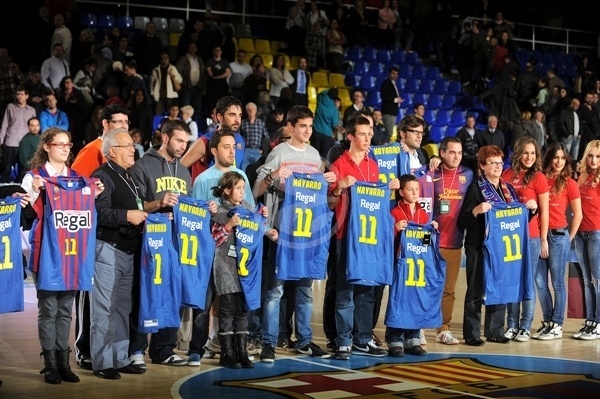 Five Barcelona socios (shareholders) who were born that day – November 23, 1997 – were invited to the game and many gifts were given throughout the game, including 15 signed Navarro jerseys. A special video was also shown on the video screen and Barcelona fans celebrated 15 years of their homegrown talent going from young prospect to one of the best players in European basketball history. 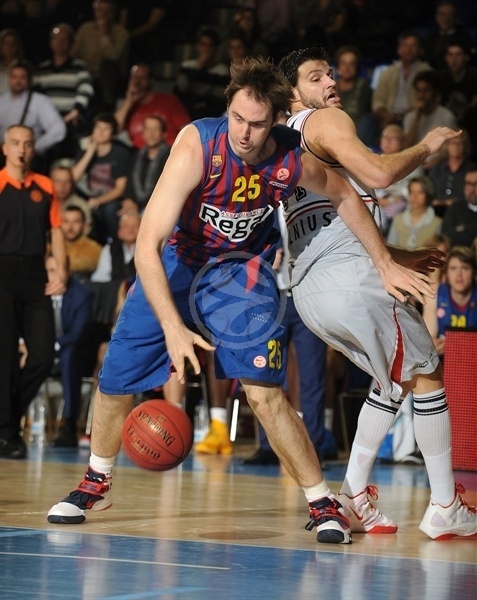 Ante Tomic added 17, Pete Mickeal had 15 and Erazem Lorbek 11 for Barcelona. Leon Radosevic led Rytas with 14 points. Nemanja Nedovic added 12, Dejan Ivanov 11 and Predrag Samardziski 10. Navarro shined early to give Barcelona a 27-16 edge late in the first quarter. A 1-11 run brought Rytas back to life, as Ivanov and Radosevic gave the guests a 42-45 edge at the break. Mickeal and Marcelinho Huertas took over after the break for a 68-60 Barcelona margin after 30 minutes. Barcelona boosted its margin to 77-62 and never looked back. 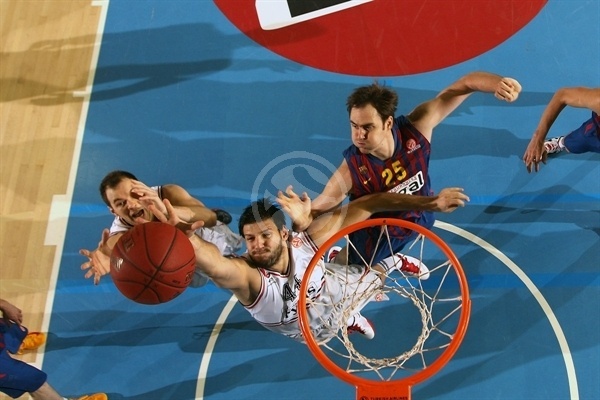 Ante Tomic got Barcelona going with a jump hook, as Rytas struggled to score in the opening two minutes. Predrag Samardziski swished a mid-range jumper, which Tomic bettered with a three-point play. Tomic stayed on fire with a five-meter jumper that Simas Buterlevicius erased with a close basket. Navarro struck from downtown. Nemanja Nedovic shined with a layup off a midcourt steal. Mickeal hit free throws and Navarro matched Nedovic's layup with a catch-and-shoot jumper. Samardziski scored down low, but Lorbek found Tomic for an easy basket and added his own basket for a 18-10 Barcelona lead. Mickeal made more foul shots and followed that with a three-pointer to boost the hosts' margin to 23-12. Deyan Ivanov shined with a follow-up layup that Navarro matched with a backdoor basket. Deividas Dulkys took over with a wild slam, Navarro scored in penetration and a buzzer-beating jumper by Leon Radosevic fixed the score at 27-18 after 10 minutes. Both teams struggled to score early in the second quarter until Radosevic scored again to bring Rytas within 27-20. Dulkys soon added a stop-and-pop jumper and Radosevic downed another shot for a 27-24 score, forcing Barcelona to call timeout to adjust its offense and bring Tomic back in the game. C.J. Wallace split free throws and a three-pointer by Ivanov brought the guests even closer, 28-27, after a 1-11 run. Navarro hit free throws and Victor Sada sent a no-look assist for Lorbek, who gave Barcelona a 32-27 margin. Lorbek made foul shots, which Samarzdiski erased with a power layup. 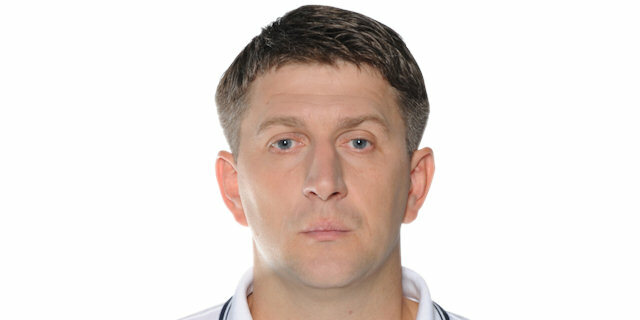 Nedovic scored in penetration. Navarro and Samardziski traded free throws. Navarro buried an off-balance shot, but Mindaugas Katelynas banked in a three-point shot to keep Rytas within 38-36. Katelynas scored again and a dunk-and-foul by Radosevic completed the guests' comeback, 39-41. Huertas and Ronnie Seibutis traded free throws and a coast-to-coast layup by Nedovic made it 41-45. A free throw by Huertas brought Barcelona within 42-45 at halftime. Mickeal nailed a mid-range shot immediately after the break, but Seibutis copied that at the other end. Lorbek hit a catch-and-shoot jumper, as L. Rytas tried to keep running its offense through Seibutis. He scored in penetration but a three-point play by Tomic tied the game, 49-49. Ivanov quickly answered from downtown and a backdoor layup by Lorbek kept Barcelona within 51-52. Nedovic shined with an alleyoop layup but L. Rytas had already entered the foul penalty, forcing the guests to change its defensive strategy. Tomic ignited the crowd with a two-handed dunk in traffic and a close basket by Mickeal put the hosts back ahead, 55-54. Tomic split foul shots but Radosevic tied the game with a jumper. 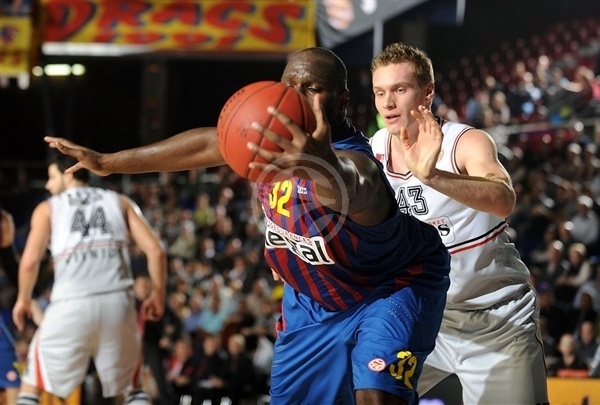 Mickeal scored around the basket and Nate Jawai added a layup to give Barcelona some fresh air, 61-57. Jawai took over with an alleyoop layup but Nedovic answered with a driving basket. 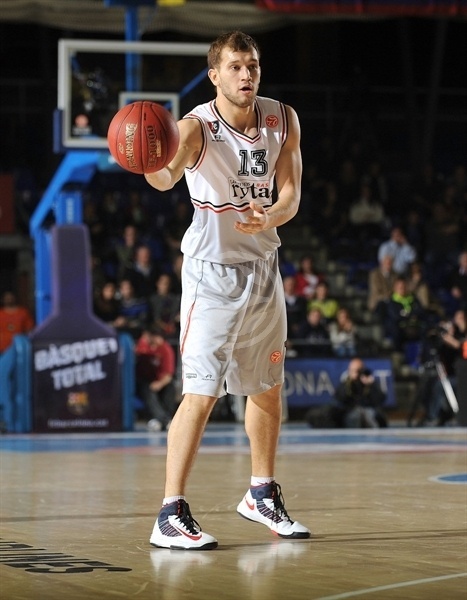 Huertas scored in penetration and followed that with a triple that gave Barcelona a 68-60 lead after 30 minutes. 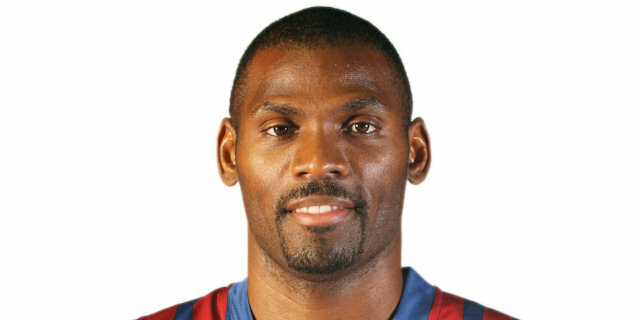 Mickeal scored around the basket early in the fourth quarter to restore a double-digit Barcelona lead, 70-60. The hosts improved their defense right when it mattered, holding Rytas scoreless for more than two minutes. Xavi Rabaseda got the crowd involved with a dunk, which Radosevic matched with a close basket. Jawai detonated a big slam, as Barcelona tried to please the crowd with spectacular plays. Navarro buried a corner three-pointer and Rytas called timeout at 77-62, with less than six minutes left. Navarro insisted from downtown and followed that with a jumper as all the fans at Palau Blaugrana sang his name. Katelynas and Samardziski tried to change things for Rytas, but everything was said and done already. Navarro was awarded with a standing ovation when he left the game with three minutes left, as Barcelona had cruised to its seventh consecutive Euroleague win this season. "It is very easy to talk about tonight's game. They played really well for 30 minutes and we reacted in the fourth quarter, improving our defense and being more effective on offense. Navarro played a great game, especially in the second half, with a brilliant moment. 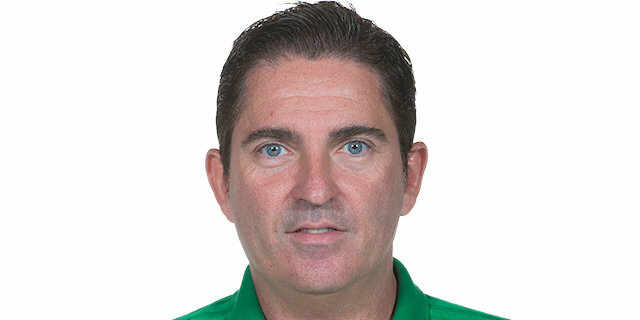 It is a great satisfaction and a privilege to have him in the team. We are happy with him and I hope we can keep him in the team for a long time." "Congratulations to Barcelona. You cannot play well for 20 minutes and expect to beat a team like Barcelona. It is not enough, but we didn't have enough strength to keep playing that way in the second half. 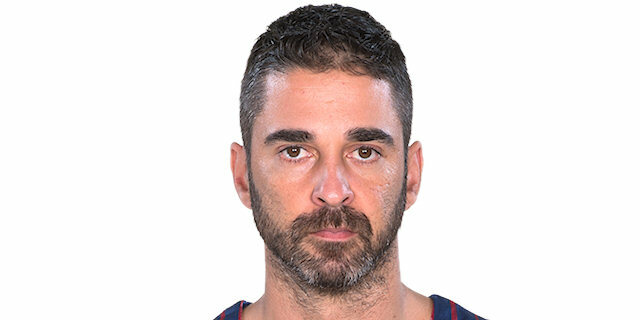 I want to congratulate Navarro for his 15th anniversary with Barcelona. He has a great game and killed us in the second half. He hit some unbelievable shots. Everyone in Europe knows he is a great shooter; it is impossible to guard him. We play a crucial game in Belgrade next week. We all know how difficult it is to play at Pionir Arena." "I am very happy, it all went very well. I started to play in his building 15 years old and this game brought a lot of memories. It has been an exciting week, I was nervous, but in a different way than in 1997. I am very happy with the outcome - everything went well and I played well. I am proud of how I am treated in FC Barcelona and I guess they are happy. We have to carry on like this; I still have some playing years ahead of me. It is the key to take care of your body and work hard. I had a difficult year, but keep on working hard." "This was a very difficult game, but we managed to seal the win in the fourth quarter. We played with a lot of spirit tonight and got a very good result. We prepared the game really well, in every practice. We struggled in the opening weeks of the season, but have a better rhythm now." "We played against one of the best four teams in Europe. We arrived here with no pressure, with the ambition to offer our best basketball. We managed to get the lead at halftime with a great effort, but it was not enough. Barcelona played at a different pace in the second half and was better than us in every aspect of the game."